In a bowl add oil ,curry powder,garlic powder,crushed kasoori methi,red chilli powder,salt & Pepper.mix properly make a paste.add paneer coat with mixture leave it for 1 hr. Heat oil in a pan add cumin seeds. .now take out cooked veggies on plate. 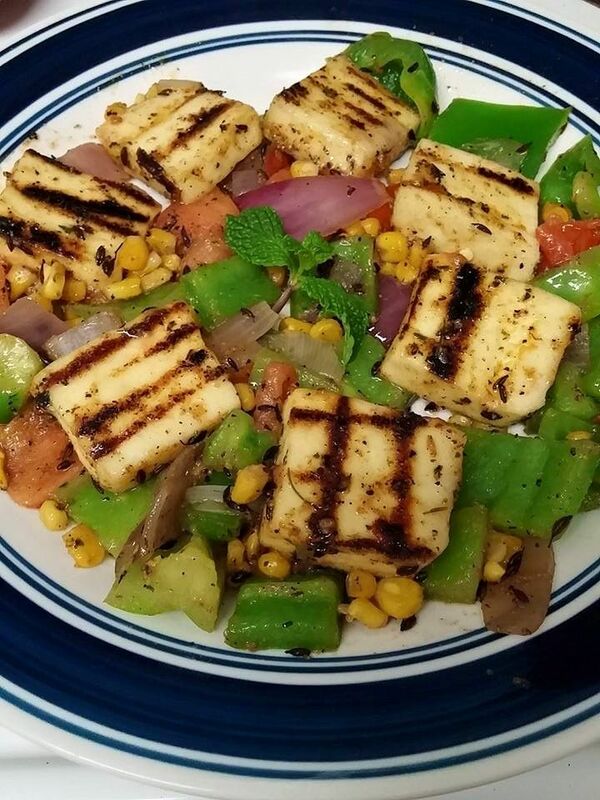 Arrange Grilled paneer.Sprinkle chaat Masala.very little lime juice.